WOW! 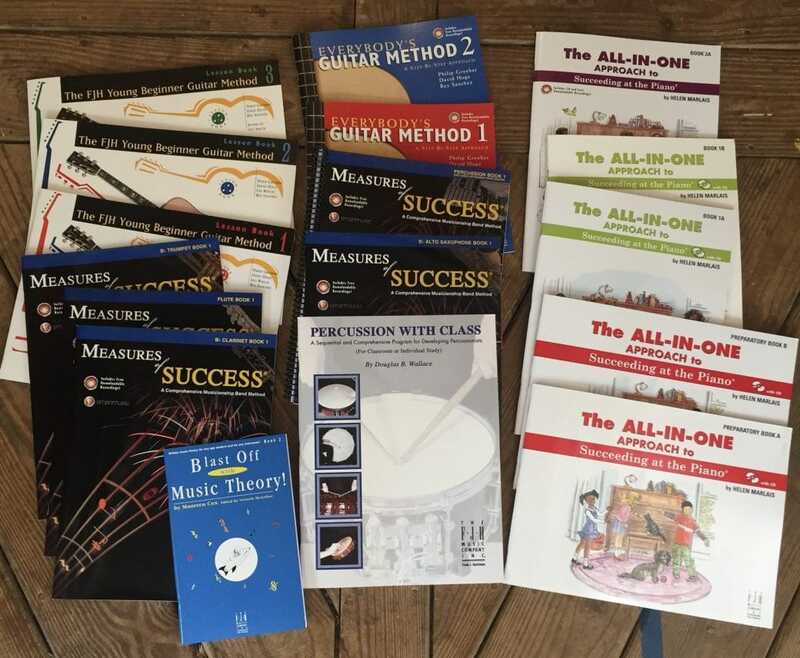 Giant THANK YOU to The FJH Music Company for providing all these Method Books (and more!) for our CATS Music Programs in Haiti! Guitar, Flute, Saxophone, Trumpet, Clarinet, Piano, Percussion and Theory!! What a blessing. And a big hearted thanks to all of you who have donated funds and instruments. We would NOT be doing this without you. We leave this Friday and are excited to be going in tandem with Champs in Haiti‘s Medical team and Hope Pak, who provides backpacks filled with school supplies for kids. Prayers are much appreciated. We are also prepping shipments of more instruments that we won’t be able to carry on the flight. If you would like to help, you can donate here. Blessings to all and Shine On!